Fall has definitely arrived, the leaves are falling, PSLs are back at Starbucks and pumpkins are everywhere. Fall is truly my favorite time of year. The smells, the food! For me Fall is a time for comfort foods, food to warm you inside and out. One of my all-time favorite comfort foods is homemade chili and corn bread… I mean is there a more perfect meal on a cold day? I have shared this recipe before but I still get requests all the time for it, so I thought it was time to share it again. To make things easy I like to make my chili in my crock-pot. I cook it low and slow so all the flavors meld together. I like to stop at our local farm stand or organic market and purchased fresh picked green peppers, onions, and jalapeño peppers…. nothing better than fresh local grown produce! The rest of the ingredient we just picked up at the local grocery store. For your enjoyment, here is the best Crock-Pot Chili Recipe EVER!!! Heat up Crock Pot on medium-low or low. Heat the oil in large pan and add the turkey, cook until browned. Add turkey to the Crock-pot. Add all remaining ingredients to the Crock-pot and stir completely. 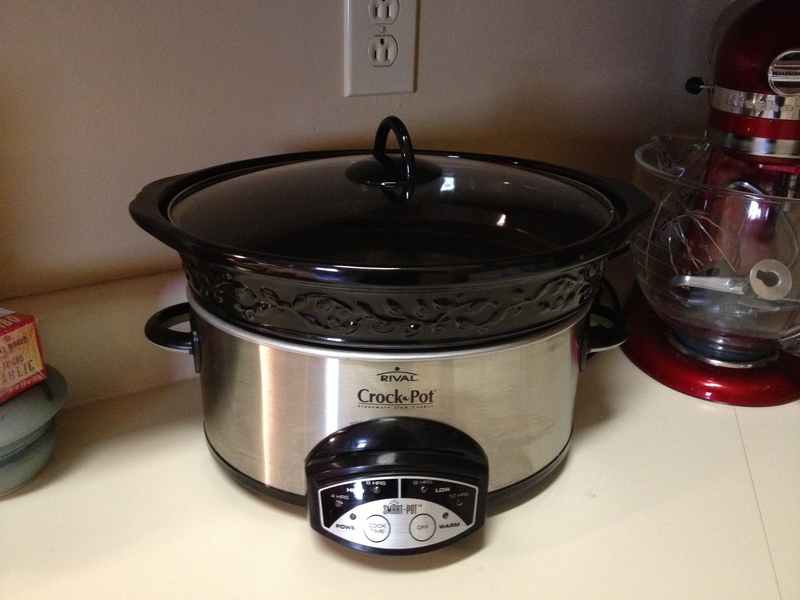 Leave cooking in Crock-pot on Low for 6 hours, Medium/Low for 4 hours, or on High for 3 hours. ** Remember to taste the broth as you go and see if it is seasoned to your liking. On the dry ingredients I just estimated what I put in there, I tasted the broth a throughout cooking till I got the flavor perfect. I was trying to be a little healthier so I used turkey but you can definitely use ground beef instead. If you like your chili extra spicy you can add more adobo sauce or add cayenne. The next day leftovers taste really good on top of a burger… yum chili burger or added to your favorite macaroni and cheese for chili mac! Cooking is all about experimenting! It is one of our go to recipes! I will have to check out your board. I am always in search for great recipes. It’s a collaborative board with my “middle sisters”. Fix it and Forget it. Sounds delicious! My hubby was just asking for chili! I know he will love it! If you try it out definitely would love your feedback! Always looking for new crock pot recipes and we all love chill here. We serve ours with sliced cheddar cheese and sliced green apples. That sounds delicious! I will have to try it. Thank you Brooke! Hope you get to try it out. It a family favorite! Perfect! I was just thinking how I need to make chili ASAP now that its getting cooler (for now anyway lol) I will definitely save this recipe. The weather changes almost hourly here! Would love to know how you like it if you get a change to make it. Any time! I think you and dad would really like that chili. Sounds delish! Perfect for football season. Trying it this weekend! It is, and if you have left-overs makes some killer chili dogs or chili burgers! !